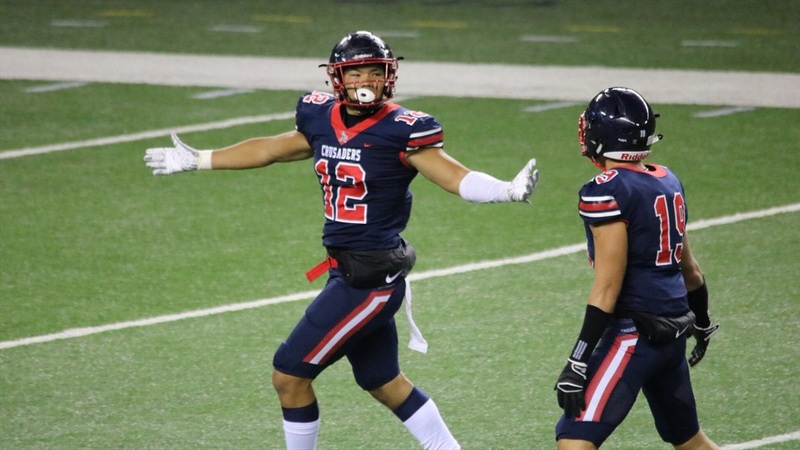 According to a source, 2020 St. Louis (Hawaii) linebacker Jordan Botelho‍ will be in South Bend for the Blue-Gold game for an official visit. The 6-foot-3, 220-pounder has always had Notre Dame high on his list, but making the trip out is significant news for the Irish. Notre Dame is also a school who has consistently pulled top recruits from Hawaii, so there is a comfort level there for Botelho. However, it might not matter as much as some think. The Irish see Botelho as an edge player and learning more about where the staff believes he’ll fit in is a crucial point of emphasis for the four-star prospect. Botelho hopes to make his decision before his senior season.